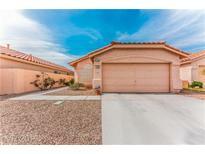 Below you can view all the homes for sale in the Cimarron Village subdivision located in Las Vegas Nevada. 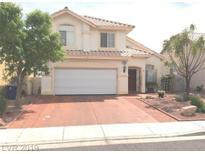 Listings in Cimarron Village are updated daily from data we receive from the Las Vegas multiple listing service. To learn more about any of these homes or to receive custom notifications when a new property is listed for sale in Cimarron Village, give us a call at 702-323-5933. Featuring: Tile Flooring downstairs and Wood flooring upstairs, Small Pool, Stainless Steel Appliances, Ceiling Fans, Window coverings, Solar Power, Covered Patio and No HOA. A must see home!!! ! MLS#2087372. World Capital Realty. Hundreds of feet of stamped concrete. WOW! MLS#2085302. BHHS Nevada Properties. Property includes low maintenance landscaping, rose bushes and bubble drip sprinklers. MLS#2085045. Century 21 Consolidated. Master bedroom /separate soaking tub/shower & dual sinks. 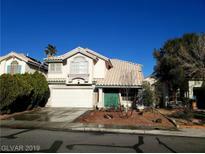 A must show MLS#2081015. Real Estate Masters of Nevada. 3 bedroom 2 bath home, great design, ready to move in with minor maintenance. Appliances included. MLS#2074770. XYZ Properties. Easy access to shopping plaza, school and park. MLS#2067155. Advent Realty Group LLC. Laundry room has sink area, all bedrooms have vaulted ceilings & so much more! MLS#2035682. Robinson Realty & Management. Great 2 Story Home With 3 Bdrms & 2.5 Baths.The Whole Downstairs Amazing Wide Open Airy Floor Plan,Vaulted Ceilings,Formal Living & Dining,Separate Family Room With Fp,Kitchen With Lots Of Cabinets And Island,Brand New Appliances,Included,Large Nice Loft Upstairs,Huge Master Bdrm,Double Sinks With Separate Shower &tub,Brand New Faucets In All Baths, Ceiling Fans,Nice Size Back Yard,Beautiful Home,No Hoa.Easy To Show.Show & Sell. MLS#2027854. Realty ONE Group, Inc.